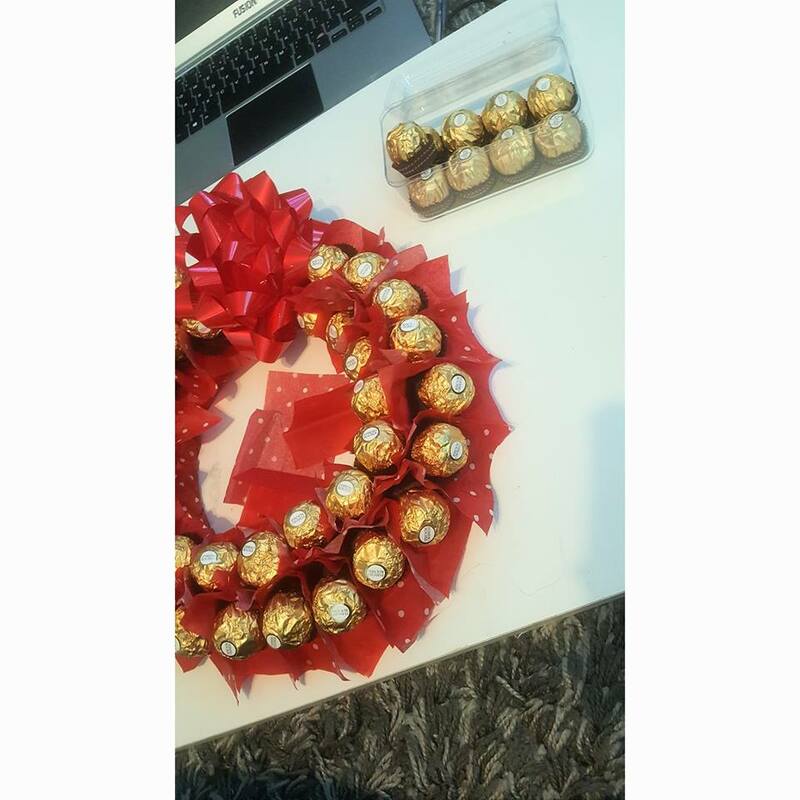 Instead of going for the usual biggest box of Ferrero Rocher we could find for my mother in-law last Christmas, I decided to mix things up a bit and make a wreath of them instead. So I ordered my polystyrene wreath from Hobbycraft along with a glue gun, Picked what colour tissue paper I was going to use and stocked up on Forrero Rocher in Asdas 3 for £1O offer. I totally under estimated just how many boxes I'd need to cover the wreath ring I'd purchased and ended up using 81 Ferrero Rochers altogether. Using PVA glue I covered my wreath ring with my chosen colour of tissue paper which was a nightmare in itself but the further around the ring I got I worked out how best to do it, While the wreath ring dried I cut tissue paper into squares for the Ferrero Rochers to be put in around the wreath to give the wreath a fuller look. Squares cut and glue gun at the ready, I started by gluing on my bow so I didn't add any unnecessary ones, then began adding the Ferrero Rocher's to my wreath starting with the top, then into the centre and again to the outer edge making sure my Forrero Rochers were sat closely together, this is something I also got the hang of the more I added. 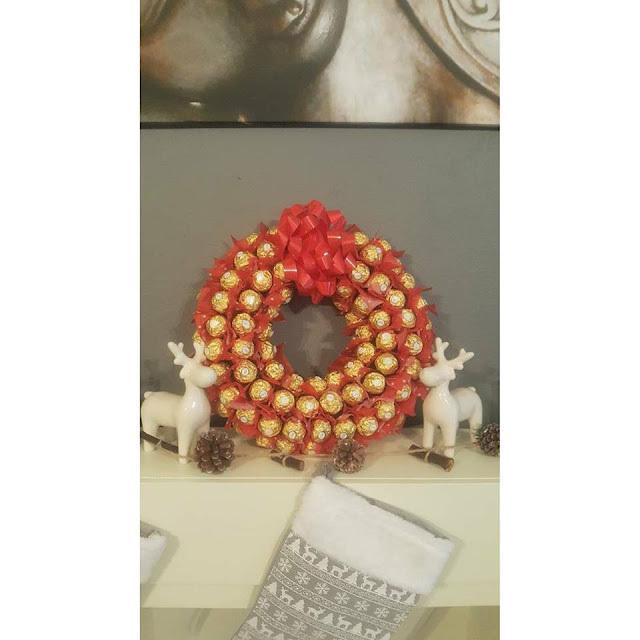 I ended up squashing my bow a little to much but it was all a learning curve for any future ones I make, You can make these kinds of wreaths with all kinds of chocolates Heroes, Celebrtions, Lindtt etc. I was going to make my mum a Lindtt one but very quickly ran out of time, maybe next year. They make giving chocolate during the festive season that little bit different!